Allotments Stockport began as Stockport & District Allotment Society in 1945 to campaign for allotment rights on behalf of its members. 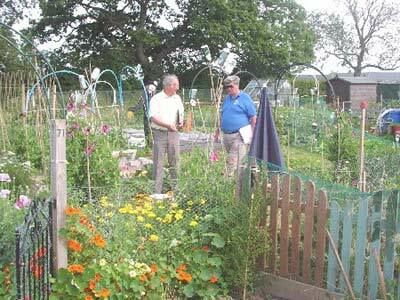 If you have an allotment plot and your site is affiliated to Allotments Stockport, then you are a member. It means you have access to the National Allotment Society which lobbies government on issues of allotment provision, use and protection. We endeavour to be representative of all Stockport allotment sites. Contact us with enquiries about anything allotments. Meetings are every 2 months, which we try to make informative and welcoming, but most of all enjoyable and entertaining - ALL PLOTHOLDERS WELCOME - MEET PEOPLE FROM OTHER SITES. Go to the website and Facebook Group to share news, views and ideas + events, model constitution and rules, monthly growing calendar, companion planting, suppliers . . .